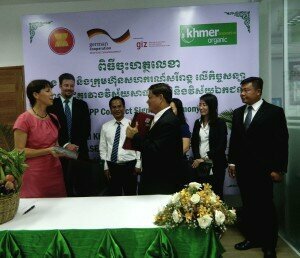 The Deutsche Gesellschaft fuer Internationale Zusammenarbeit (GIZ) GmbH on behalf of the German Federal Ministry for Economic Cooperation and Development (BMZ), enters a cooperation agreement with the Khmer Organic Cooperative Co., Ltd (KOC) until February 2018, to establish two organic certified demonstration farms, focusing on fruits and vegetables. The prepared farms later on will be used as a national organic training center for Cambodia. Additionally, the cooperation strengthens regional market linkages and establishes local organic supply networks. To assure continued knowledge transfer, best practices and knowledge of organic agriculture will be shared in trainings with other farmers and interested institutions. On top, efforts to raise consumer awareness will be made. For GIZ, this partnership shall increase usage of food standards among Cambodian farmers and overcome existing challenges that prevent agricultural businesses from implementing food standards, including poor agricultural practices especially when it comes to chemical inputs of smallholders, and lack of access to premium ASEAN markets for organic produce. The agriculture and food industry is one of the most important economic sectors in Cambodia (33.5% of overall GDP in 2013 according to the World Bank) and almost employs more than half of the country’s population. However, currently in Cambodia fruits and vegetables are only rarely certified in accordance with current standards for good agricultural practices (GAP) and organic agriculture. The lack of certification of agricultural products hinders Cambodia to trade its agricultural products. With increasing economic integration within ASEAN, standards for food production and processing will be attributed even more importance. Khmer Organic Cooperative’s vision is to promote organic vegetables and fruits for consumers at an affordable price, equip farmers with knowledge and essential skills to grow organic produce on their own, and work towards establishing a sustainable environment free of chemicals and genetically modified seeds. Organic fruits and vegetables not only taste better but they are important for good health. Khmer Organic Cooperative strives to find markets for our farmers’ produce in order to provide them with earning and providing sustainable practices in the country. KOC has two organic farms, the first farm is located at Picnic Resort along National Road 4 and the second farm in Chhroy Svay, Sre Amel district, Koh Kong province. These two farms are using organic farming methods of growing fruits and vegetables combined with modern concepts of preparing the soil, planting and harvesting products and the organic farms will become educational centres for farmers and others. SAFT is a GIZ-supported project that supports the ASEAN Secretariat on the development and implementation of regional food standards for good agricultural practices (ASEAN GAP) and organic agriculture (ASOA). The objective is to verifiably apply both standards in the ASEAN region, particularly in the production and processing of fruits and vegetables. 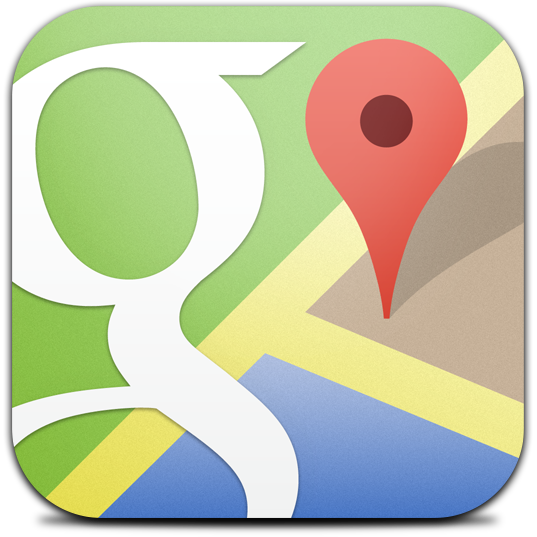 The project is commissioned by the German Federal Ministry for Economic Cooperation and Development (BMZ). GIZ is an experienced service provider working on behalf of the German Government to support achieving its objectives in the field of international cooperation. We offer demand-driven, tailor-made and effective services for sustainable development. Minister HE Dr. Ing Kantha Phavi delivering remarks. 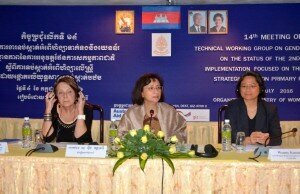 PHNOM PENH, Cambodia, 4th July 2016 – The Ministry of Women’s Affairs today led a special meeting with representatives from 15 line ministries and civil society organizations to boost the implementation and monitoring of the Second National Action Plan to Prevent Violence against Women, the key national policy to address intimate partner violence and sexual violence in Cambodia. 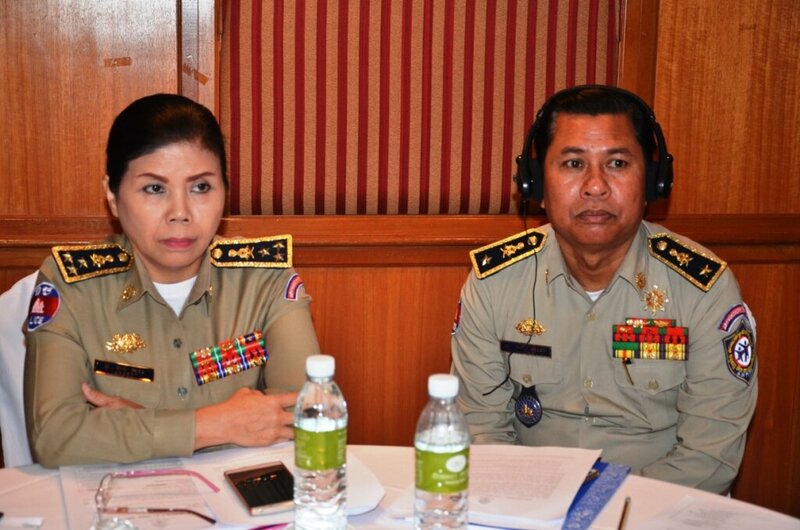 At the meeting, a new reporting system was established within the Government to increase accountability from line ministries and identify and tackle challenges in their responses to Violence against Women. 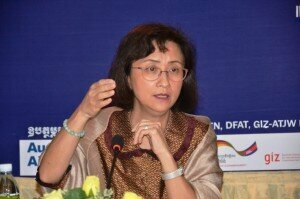 Minister HE Mrs Ing Kantha Phavi delivering remarks. At the meeting, four ministries (Ministry of Women’s Affairs; Ministry of Education, Youth and Sports; Ministry of Culture and Fine Arts; and Ministry of Information) also explained their progresses and challenges in their work to promote behavioral change of citizens to prevent Violence against Women before it happens. 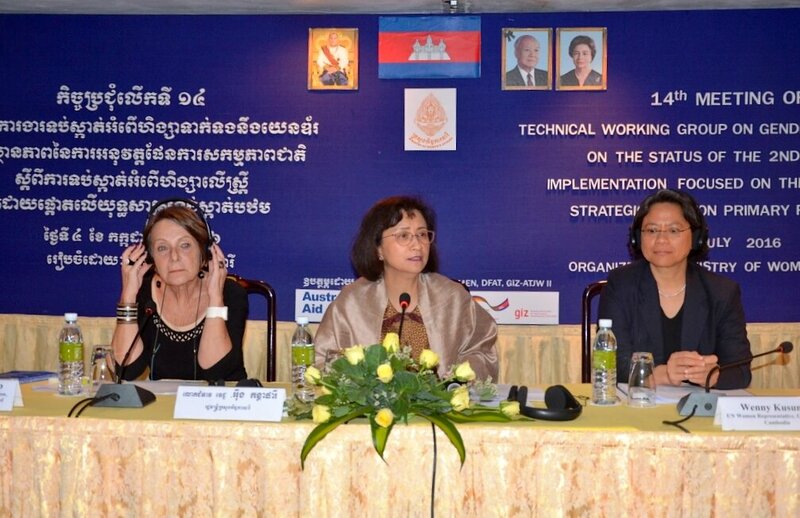 In addition, representatives from the Provincial Departments of Women’s Affairs from Siem Reap and Kampong Thom and from four NGOs presented some good practices and lessons learnt about their responses to Violence against Women and Girls at sub-national level. The meeting was organized under the framework of the Technical Working Group on Gender-Based Violence, created in 2012 by the Ministry of Women’s Affairs, supported by GIZ and UN Women –with funds from the German and Australian Governments- and comprised by line ministries, civil society organizations and development partners. Officials from Ministry of Interior were attending the meeting. 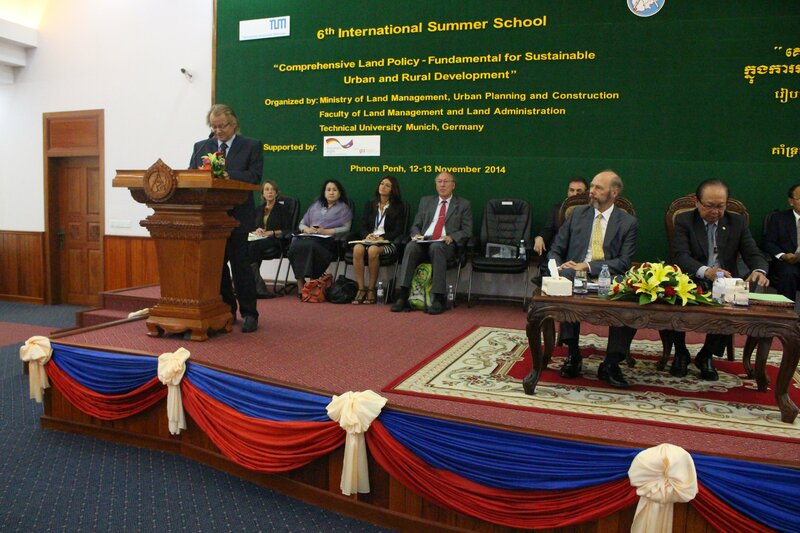 PHNOM PENH - The 6th International Summer School, Comprehensive Land Policy – Fundamental for Sustainable Urban and Rural Development was held by the Ministry of Land Management, Urban Planning and Construction (MLMUPC), jointly organized with the Royal University of Agriculture (RUA), and the Technical University Munich (TUM), in partnership with GIZ. The summer school reached an unprecedented scale, attracting about 360 participants with representatives from Bangladesh, Cambodia, China, Germany, Lao PDR, Nepal, the Philippines, Serbia, Thailand and Vietnam. 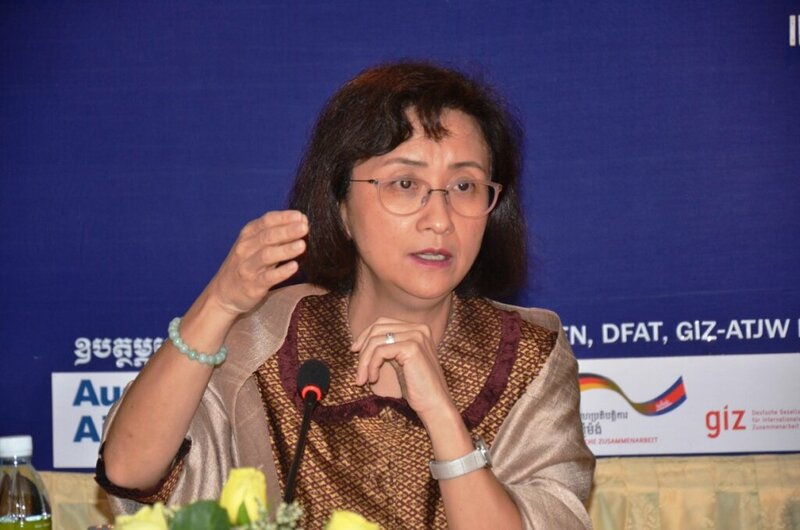 Aiming for balanced perspectives, speakers included local and international NGOs, Cambodian and German academe, government representatives of Cambodia and the region, and bilateral and multilateral development organisations. After a well-received welcome speech by the German Ambassador to Cambodia, H.E. Baron Marschall von Bieberstein on the land reform, senior minister H.E. Im Chhun Lim, opened the summer school, pointing out, among many other aspects, the comprehensive character of the national land policy. Relevance of Land Policy in the Global and International Context: Addressed inputs on sustainable development goals (SDGs), Global Land Indicator Initiative, Voluntary Guidelines on the Responsible Governance of Tenure (VGGT) and on land policy efforts in other countries in the region. While land policy has to address the needs of all, marginalized or vulnerable groups require explicit and targeted consideration. Land Policy and Marginalized Groups: Discussed housing rights of the urban poor, indigenous land rights as well as gender-sensitive land policy, with inputs of representatives from UN Women, the Cambodia Indigenous Youth Association (CIYA), the Asian Coalition for Housing Rights (ACHR) and government. Cross-Cutting Topics of Land Policy: Presented concepts of ecosystem services and impacts of economic corridor development. Different perspectives on the Cambodian White Paper on Land Policy and its implementation complemented the themes addressed. H.E. Dr. Holger Magel summarized key messages from the summer school in his closing speech, including an acknowledgment of the comprehensiveness of the White Paper on Land Policy, its quality in an international context and the political signals of commitment to its objectives. Likewise, he emphasized the need to focus on implementation and its review and evaluation, on participation, information, capacity development and cooperation – all key means for achieving an implementation that lives up to the spirit of the policy: a sustainable rural-urban development between production and protection.